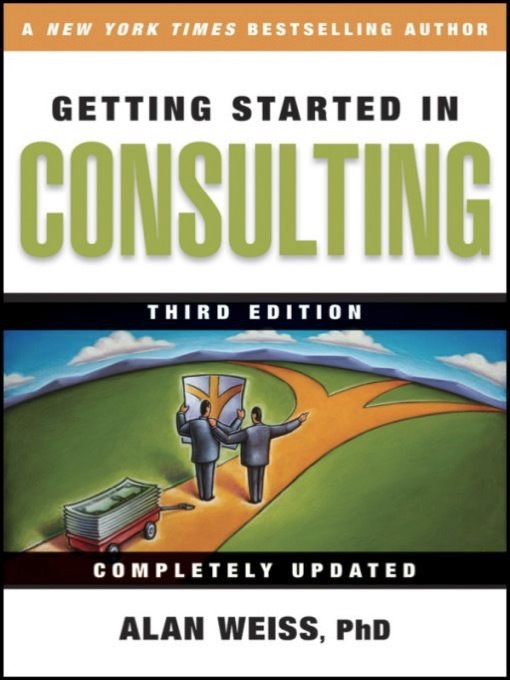 Getting Started in Consulting is my second read from Alan Weiss. The first book was titled, Value Based Fees, which I also wrote about at the time. Getting Started in Consulting is not what I was hoping it would be. That been said, there was a lot of interesting information that I may find valuable eventually, but it wasn’t what I needed right now. What I had set out to learn was what sorts of proficiencies a consultant needed, what kinds of certifications or ethical questions a consultant would need to answer, and just generally, whether consulting was something that would interest me as an extension of my career. While I love my work as a photographer, much of it seems very easy to me these days. Even the hard parts don’t pose much of a challenge anymore. As I look into the future, I’m keeping a keen eye on the doors around me and trying to peak into them as much as I can. Consulting seems as though it would scratch my itch to be constantly figuring something out, and constantly testing theories. Alas though, Getting Started in Consulting hardly brushed up against these questions and instead largely assumed the reader knows just what they are getting into. The book is extremely practical. Lots of how, but not very much why or what or when or where. To give you an example of what I mean: The first chapter, titled Establishing Goals & Expectations, starts right away talking about how much this endeavor will cost, then moves into the mindset required to succeed as a consultant. The next chapter is titled Physical Space & Environmental Needs. Which is about what you’ll need to buy. So yeah, it doesn’t take any real time to discuss the nuances of what consulting is or why it really matters or the proficiencies expected of a person in that role. It wasn’t a lost cause though. This is a book last updated in 2009, and it’s quite entertaining to read advice about starting a business just 8 short years ago. “A fully paperless office is impossible”, “buy a copier now, or wait until later, but must buy one eventually”, “Fax machines are on the short list, buy one”. Stuff like that makes for a good chuckle and a weird kind of nostalgia. It’s bizarre how much the world has changed in such a short time. To this question of whether consulting is for me or not, Getting Started in Consulting didn’t really answer that question. But, it did give me a pretty good idea of what preparing myself and marketing myself for such a role would entail, and I can confidently say that none of that turned me off. It all seemed quite within reach. I suspect this is a book for people who have worked extensively with consultants in the normal flow of some other job. People who have a pretty clear idea of what they have to do for a client, but little idea of how to get into that role so that they have to. If that’s you, I think this is probably a great book. If you’re like me, and just trying to swirl your feet around in the water for a while to see how it feels, there’s probably a better book out there. If I find it, I’m sure you’ll find me doing a write up on that one too.